Thanks to the generosity of the Youth Racing donations. Registration is $80, which includes the regatta entry fee, light breakfast on Saturday and Sunday, & dinner party on Saturday night. Extra crew lunches are $10 each. Trophies: Awarded to the top places for the M-16, MC, and C Scow skippers. We're happy to announce a special Youth registration fee of only $20 thanks to donations to the LHYC Youth Racing. Tell your Sea Scouts & Youth Sailors! Sailors must by under 21 at time of check in: 9/21/18. 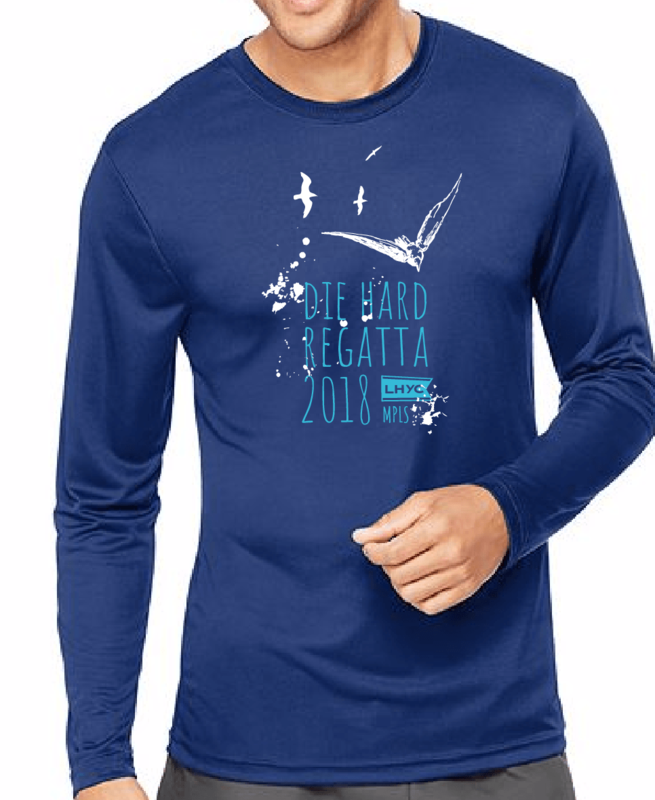 Come sail the Die Hard Regatta, where Mother Nature unleashes all her weapons from unpredictable winds to marauding gangs of fowl. Not for the faint of heart. If you have pre-ordered your shirt, we'll have it ready for your at check-in on 9/21. For those registering AFTER 9/12, we will have a limited number of extra shirts for sale for those who did not pre-order (first come/first served, no guarantee of availability).